* Date: Please consult us about your preferred date. 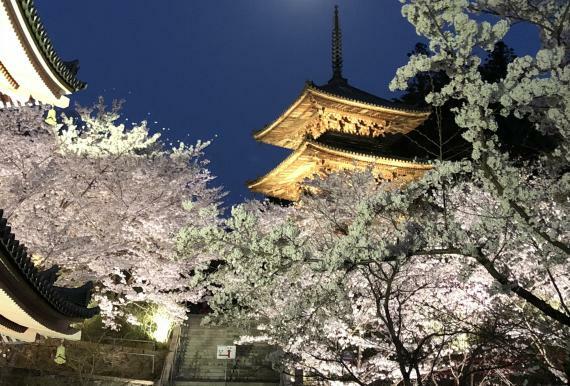 Tsubosaka-dera Temple is located in a mountain overlooking the scenic beauty of Yoshino, three mountains of Yamato, and Nara Basin. 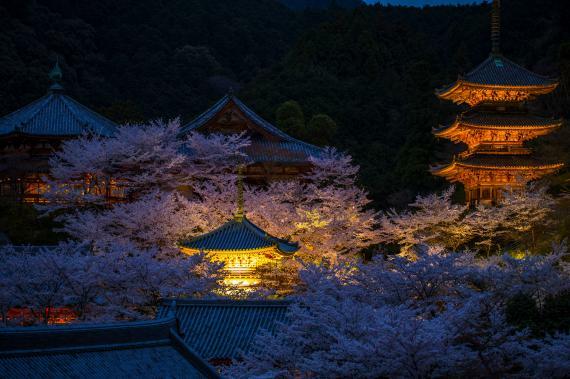 A monk will guide you in Tsubosaka-dera Temple, especially and exclusively for you after general opening hours. * A schedule may be changed without a prior notice. * Please go down a mountain by 20:00 as the mountain road will be closed at night. * The number of persons: A group of up to 20 persons is \50,000 per group for an exclusive special entry. Barrier-free facilities including restrooms are available from a parking lot to the temple’s grounds. If sitting on your heels is difficult while participating in the prayer, a chair is available. Visitors from the elderly to children can enjoy strolling with ease, utilizing benches for rest in the grounds. Taking photos is allowed inside the hall and grounds. * Bus service ends before 17:00, so please use a taxi to and from the nearest station at night. 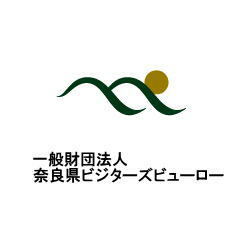 * For details of bus schedule, please check the website of Nara Kotsu Bus Lines. It is an old temple and was established in the 8th century. 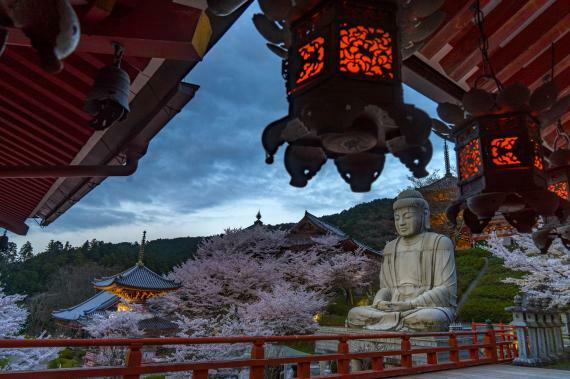 The temple is designated as the 6th temple of the “Saikoku Kannon Pilgrimage.”Currently, Tsubosaka-dera Temple values international exchange with India, home of Buddhism. Several stone statues from India are ensconced in the grounds. Among them, the Great Kannon Bodhisattva was presented as a token of appreciation for the temple's work to help leprosy suffers in India. A monk will guide you through the grounds of Tsubosaka-dera Temple outside of its opening hours. Then participate in the prayer for cure and good health of your eyes. You will wear a white garment and hold a “Shakujo” staff, both prepared by the temple, and pray accordingly to the guidance of a monk. 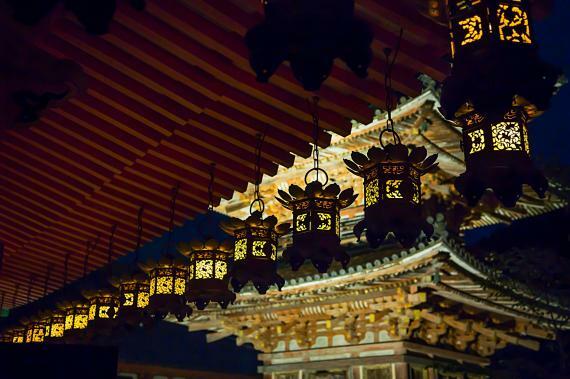 After the prayer, enjoy exploring the lit-up grounds freely until the tour ends. You can take photos inside the hall and grounds. A “Goshuin-fuda” charm with temple’s seals is included.